This is the story of the Ottoman Turks. They emerged from Asia during the 13th century and by 1500 they had expanded to both sides of the Aegean (Greece). During the 16th century they collided with the Hungarians at the plains of Central Europe. They conquered most of the country and then they tried to attack Austria belonging to the Holy Roman Emperor. But this was proved to be a big mistake. In this book the author examines Europe during at the beginning of the 16th century. Strangely enough by that time Italy was the center of Europe. The Italian peninsula was for a long time part of the Holy Roman Empire until the 13th century. Since then new small states under rich patrons started to emerge and by the 15th century Italy was consisted of many states hostile to each other. The outcome of this situation was almost constant war. Through these lines any reader can detect many elements of the renaissance states and study a general history of the 15th and the 16th centuries. This is the story of an unknown conspiracy of the Venetian nobility that took place in Venice during the third Venetian-Turkish war (1537-1540). During that period some of the upper Venetian nobles were bought of the French diplomats and sold secrets to their allies, the Turks. The outcome was almost devastating for Venice. This is a brief history about political partition of Italy (15th -16th c.). The Italian peninsula was for a long time part of the Holy Roman Empire until the 13th century. Since then new small states under rich patrons started to emerge and by the 15th century Italy was consisted of many states hostile to each other. The outcome of this situation was almost constant war. In this book there are six texts about renaissance Europe. Through these any reader can detect many elements of the renaissance states and study a general history of the 15th ant the 16th centuries. More specifically, the first text is “Europe in Transition (15th -16th c.)”. The second article is “Spain v. the Ottomans (16th c.)”. 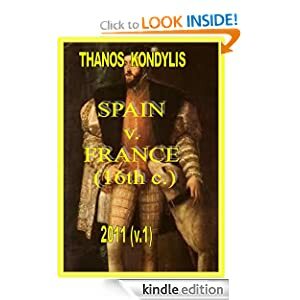 It follows the third article, “Spain v. France (16th c.)” which discusses the rivalry between Charles V (Emperor of the Holy Roman Empire and the King of Spain) and Francis I, the King of France. The forth article is “The Ottoman Turks Against Europe (16th c.)” and it is a short story of the Ottoman Turks. The fifth article is “The partition of Italy (15th -16th c.)”. Finally we present the sixth article, “An unknown conspiracy of the Venetian nobility (1537-1540)”. This is the story of an unknown conspiracy of the Venetian nobility that took place in Venice during the third Venetian-Turkish war (1537-1540). This is a brief history of Europe during the early 16th century. We begin with explaining the political partition of Italy (15th -16th c.). In the early 16th century western Europe was also troubled by the rivalry between Charles V, Emperor of the Holy Roman Empire and the King of Spain, and Francis I, King of France. Both were extremely powerful and wanted to rule Europe, if not the world. The same time in the East it was unfolded the most serious problem for Europe; the mighty Ottoman Turks. During the 16th century they collided with the Spanish Emperor Charles V who wanted to protect his colonies in North Africa. This is the story of the Spanish attack against the Turks during 1532. The Spanish Emperor Charles V wanted to protect his colonies in North Africa who were invaded and destroyed by the Muslim Emirs, assisted by the Ottoman Turks. So Charles decided to launch an attack against the Turkish city-port of Coron (South West cape of Peloponnese, Greece). He captured the city and held it for almost two years. In 19 February 1878 Russia and the Ottoman Empire signed the peace Treaty of San Stephen. The reaction of England was immediate as through this treaty Russia was actively involved in the Balkans. So England with the cooperation of Germany in June 1878 organized a new international Congress in Berlin where it was revised the terms of the Treaty of San Stephen. Russia accepted the new adjustments. During the same period the English ambassador in Istanbul (Constantinople) managed to extract Cyprus from the Ottoman Empire in return for the British support at the Congress of Berlin. 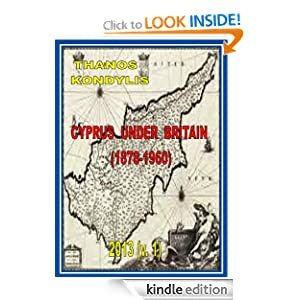 The occupation of Cyprus was necessary because along with Gibraltar and Malta it created a sequel of strategic ports in the Mediterranean over the trade route that connected England - via Suez - with India. In June 1878 the Sultan agreed and signed with England a treaty under which the British Empire would exercise the administration in Cyprus. So in early July 1878 the British troops landed on the island. The first (Charles V) was the Emperor of the Holy Roman Empire and the King of Spain. The second (Francis I) was his rival and the King of France. Both were extremely powerful and wanted to rule Europe, if not the world. The fought many battles but none could subdue the other. This is their story.